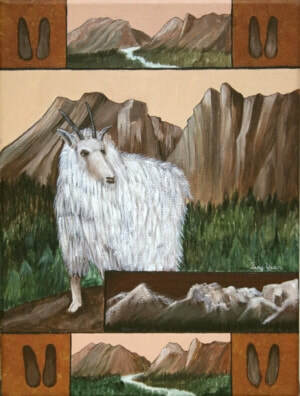 This painting is pat of Ting Yuen’s Spirit Animal Series. If the goat is your chosen spirit animal, you have great patience and your persistence assists you in achieving whatever you wish to pursue. You also have great work ethics and possess a sense of fearlessness that you can overcome any challenging obstacle. Goats often have lofty ambitions and enjoy new heights within themselves.